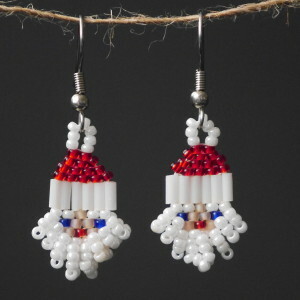 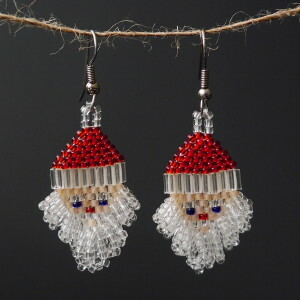 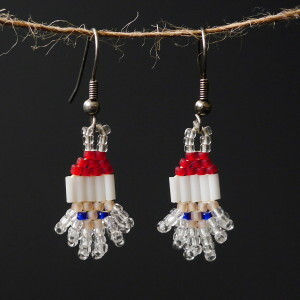 Get into the holiday spirit with these Christmas tree earrings! 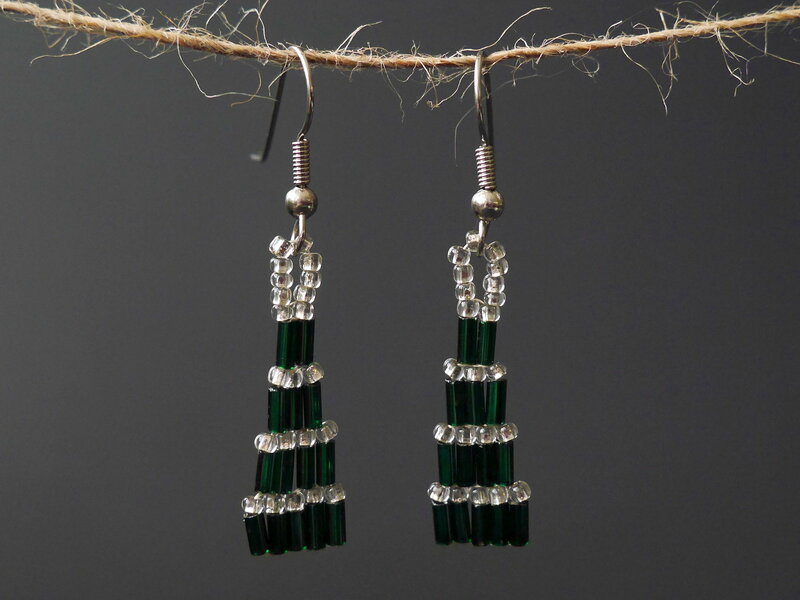 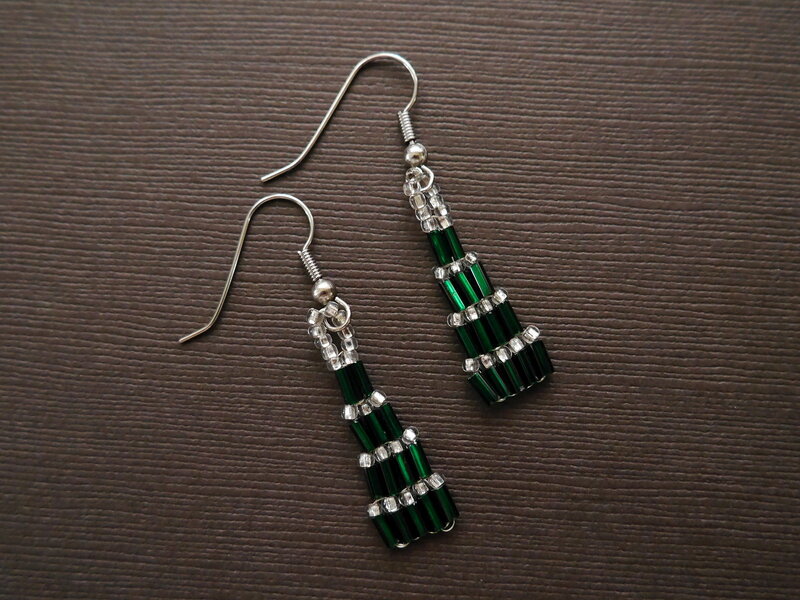 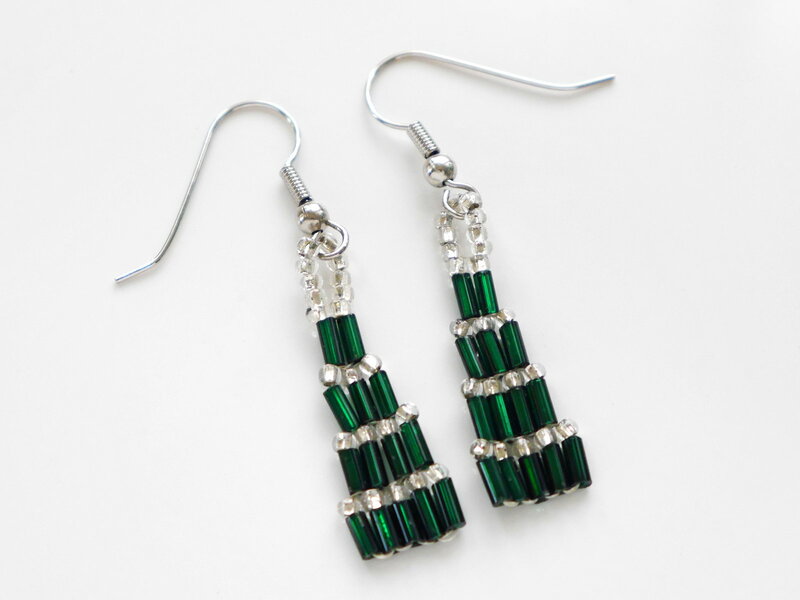 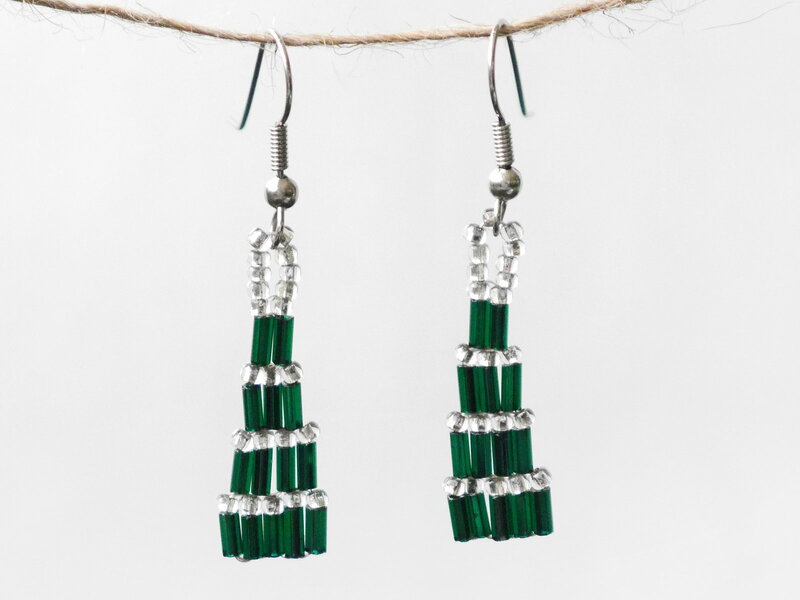 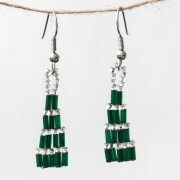 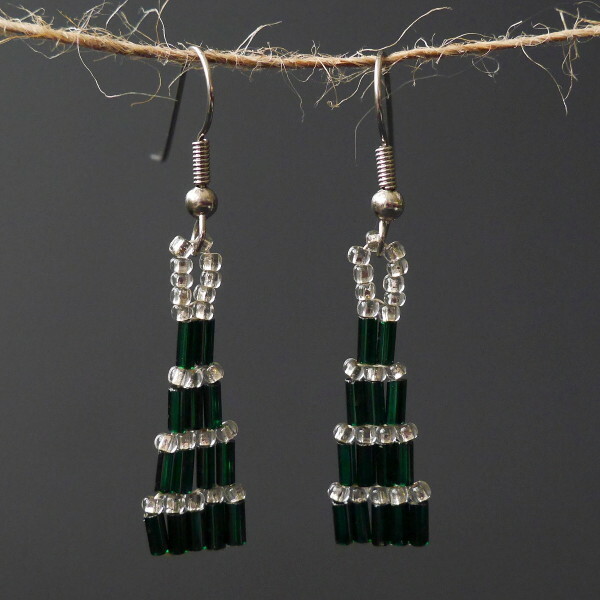 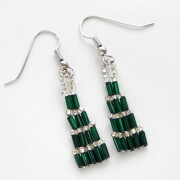 Crafted with green silver lined bugles, foil lined seed beads and silver colored components. 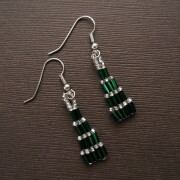 Earrings have a length of about 2″, including ear hooks.